There are so many outlandish claims about vaccines, it’s really hard to keep track of them all. I once had an honorable goal of debunking every single vaccine myth out there. I was humbled by the sheer volume of lies, anecdotes, and fables pushed by the antivaccination cult, that I figured it was important to just stick with the top ones. Even that’s challenging. One of the enduring and frustrating allegations made by that crowd is that vaccines cause autism (or more formally, autism spectrum disorders, ASD), and more vaccines cause more autism. It is an endless “debate,” but only if we define debate as one side using scientific evidence and the other uses lies, misinformation, cherry-picked data, and the assertions of one “cunning charlatan” (thank you Brian Deer). First things first. 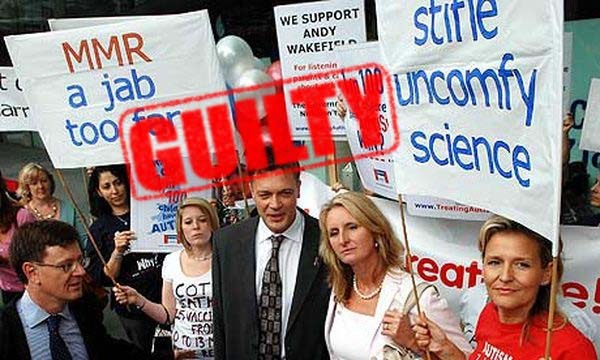 Despite the fraudulent claims of one Mr. Andy Wakefield, there is simply no evidence that vaccines are related to autism. Moreover, when we have gone looking, there is evidence that that autism is totally unrelated to vaccines. And it’s more than just me. Orac says so. Science Based Medicine says so. Emily Willingham says so. Oh I know, these are all bloggers, which isn’t real science–except, like me, whatever they write is actually linked to real science in the form of peer-reviewed studies. By the way, the CDC agrees with all of us. And they’re really smart people–Ph.D.’s, MD’s, and other public health specialists, whose backgrounds are in relevant areas of medicine like immunology, virology, epidemiology, microbiology, and so many other fields of research. So despite overwhelming mountains of evidence that vaccines, especially MMR vaccine for measles, mumps and rubella, the vaccine that was the target of Wakefield’s lies, do not cause or are completely unrelated to autism and autism spectrum disorders, the loud noise continues. Using false balanced “debates” to pretend that there is actually some sort of scientific discussion about this point, some news reports will often make you think that there are really two sides to this story. But there isn’t. There’s one side with real science, and the other side with, well, nothing. Part of the storytelling from the vaccine deniers is that there has been a remarkable increase in the autism rate (from about 1 in 150 in 2000 to 1 in 68 in 2014), which they believe is caused by an increased number of vaccines. To be fair, that same data is trumpeted by various other oddballs in the blame game–the cause is GMO’s, gluten, high fructose corn syrup, air pollution, water, fluoridation, along with everything but the kitchen sink. Autism is not a trivial disorder. The vast majority of people who have autistic children are loving, caring parents who are stressed and concerned about their children, and I have no doubt that “blame” is part of the effort to deal with the issues surrounding autism. Although we lack definitive understanding of all of the causes (because science takes time, it’s not instantaneous), there are certain genetic and in utero developmental factors that are closely linked to autism. But again, it’s not vaccines. So what about this large increase in the autism rate in the USA? A new study, just published in JAMA Pediatrics, examined the healthcare records of 668,000 children born in Denmark from 1980 through 1991. In Denmark, every resident has their complete heath record maintained by the Danish government, which can be accessed by researchers to study whole populations, rather than random sampling (which can be subject to selection bias and other issues). What the researchers found was that around 60% of the increase in diagnosis of autism in Danish children resulted from changes in diagnosis and tracking. Historically, autism diagnosis didn’t take on a modern form until the 1940’s, but even then, it was linked to other psychiatric disorders, mostly unrelated to autism. It wasn’t until the late 1960’s did autism diagnostic criteria approach the ones we use today. In Denmark, the diagnostic criteria for autism was changed in 1994, expanded to a broader spectrum of disorders and augmented with longer list of symptoms. Thus, at that point, the definition of autism increased to include more individuals. The way autism is defined in the U.S. has changed dramatically since 1980, when it first appeared in the DSM-III as “Infantile Autism” and could only be diagnosed in children whose symptoms began before they were three years old. Autism spectrum disorders have expanded to include diagnosis without a specific age requirement beyond the “early developmental period” and without requiring significant language impairment in the recently revised DSM-5. The vast majority of people diagnosed with autism spectrum disorders today would never have qualified under the 1980 classification, and no formal classification separate from schizophrenia existed before then. So it’s not surprising that numbers have increased in the U.S. The CDC puts the current incidence of autism spectrum disorders at 1 in 68, or about 1.5 percent,* though this figure may also mislead those unfamiliar with the broad diversity – quite literally, the neurodiversity – that autism encompasses since popular images of autism still unfortunately misrepresent the condition. The 1 in 68 refers to individuals all over the autism spectrum, from those who need only some supports and accommodations to those who need very substantial support. It is the latter group, especially those who have little spontaneous language (verbal or nonverbal) who are the stereotypical face of autism, but they are the minority of autistics. There are other studies that appear to show that increases in rates of autism are influenced by changes in diagnostic criteria, rather than an absolute increase in the population size or rate of autism. Another recent article published in Psychological Medicine found that the actual rate of autism has not really changed over the past 20 years. In fact, the authors concluded that, “an accurate epidemiological description of ASDs is needed to inform public health policy and to plan for education, housing and financial support services.” In other words, the illusory increase in autism rates, which mask actual ASD rates, could be problematic in driving health policy for those with ASD. Even more troublesome is that higher increases in autism diagnoses seems to be clustered in locations which have better resources for diagnosis and treatment. Does this mean that with better diagnosis, we uncover more autism? Or do the available resources influence the rate? Or is it some sort of bias to find autism because the resources are available? Once again, without reliable data, how does public health policy make reasonable recommendations for the treatment and availability of public services for parents and their autistic children. The Danish study found that the rate of autism in Denmark is around 54 of every 10,000 children, which is noticeably lower than the US rate of 147 of 10,000 children. Some (if not all) of the difference in rate can be attributed to two significant issues: first, the USA has an antiquated system of medical records, with nearly zero portability of records when people move or change providers, and second, a different method of diagnosis and lack of systematic consistency between individual diagnoses. But the study does show an almost parallel change in rate between both countries right when diagnostic criteria change. That’s the important takeaway from the study. After all of this, some of the increase in autism rate may be real (though it’s impossible to tell why with currently available data). We know, with little doubt, that many of the so-called guilty parties for the rate increase, especially vaccines, have nothing to do with autism. The problem, at least in my eyes, is that the endless energy wasted on blaming vaccines (or GMOs or gluten) for the increase, with no evidence supporting it unless you think that Wakefield didn’t commit a fraud, moves us from doing real things to identify the real causes and real treatment of those with ASD. As I mentioned above a falsely higher rate or lower rate of ASD has substantial impact on the availability of resources, along with the costs to society. The grifters at the Age of Lying about Autism make up stories about the measles vaccine, instead of focusing on a real analysis of the autism rate. So what we get from them is bad information about important vaccines that save lives, and nothing to drive public policy to actually help those with ASD. They are so obsessed with their delusion about vaccines that they fail to actually be useful where they could be. They aren’t taken seriously by anyone but the 1% of the country who deny their children safe and effective vaccines. A truly progressive ASD advocacy group would accept the real science, while moving to change public policy about funding research into autism along with a political discourse to shift attitudes and funding of support ASD individuals and caregivers. I guess I’m asking for too much. Autism spectrum disorders are an important pediatric health issue. But I have no data that supports a hypothesis that the rate has increased or decreased or whether any observed increase is due to changes in diagnosis, or actual increases in the rate due to other factors, such as genetics. 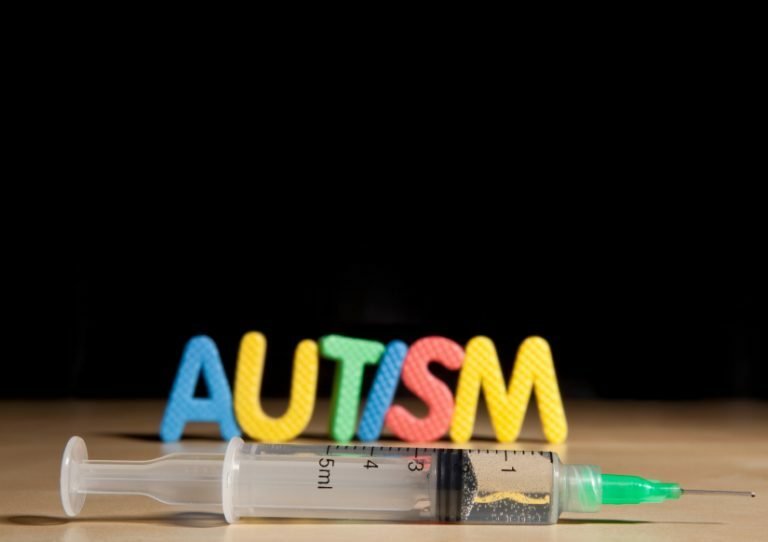 We know it’s not vaccines–a research effort that cost billions of dollars to find nothing, money which could have actually been used for something that could have actually helped those with ASD. Baxter AJ, Brugha TS, Erskine HE, Scheurer RW, Vos T, Scott JG. The epidemiology and global burden of autism spectrum disorders. Psychol Med. 2014 Aug 11:1-13. [Epub ahead of print] PubMed PMID: 25108395. Hansen SN, Schendel DE, Parner ET. Explaining the Increase in the Prevalence of Autism Spectrum Disorders: The Proportion Attributable to Changes in Reporting Practices. JAMA Pediatr. 2014 Nov 3. doi: 10.1001/jamapediatrics.2014.1893. [Epub ahead of print] PubMed PMID: 25365033. Mazumdar S, Winter A, Liu KY, Bearman P. Spatial clusters of autism births and diagnoses point to contextual drivers of increased prevalence. Soc Sci Med. 2013 Oct;95:87-96. doi: 10.1016/j.socscimed.2012.11.032. Epub 2012 Dec 8. PubMed PMID: 23267775; PubMed Central PMCID: PMC3612561. Volkmar FR, Cohen DJ, Paul R. An evaluation of DSM-III criteria for infantile autism. J Am Acad Child Psychiatry. 1986 Mar;25(2):190-7. PubMed PMID: 3700906.